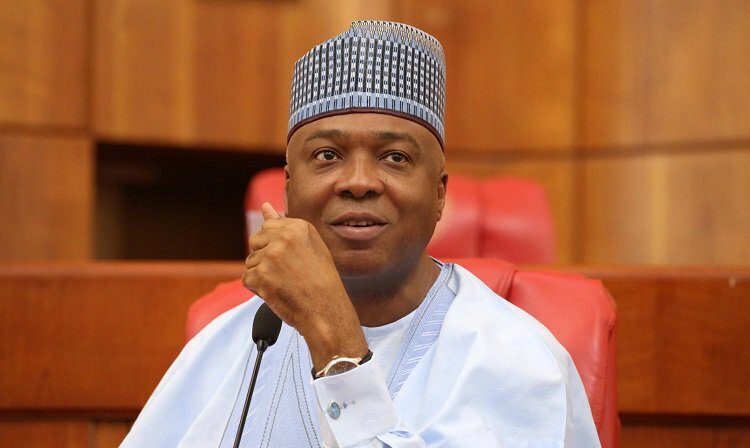 SENATE President, Bukola Saraki has attributed his absence at Tuesday’s National Executive Council – NEC, meeting of the ruling All Progressives Congress – APC, to already scheduled events Edo State. “On Monday, the senate president was in Benin from morning till 6.15pm, where he attended the Senate Roundtable on Migration and Human Trafficking…The event was attended by Governor Godwin Obaseki of Edo State, his deputy, Phillip Shuaib, representatives of the governor of Delta State and Oba of Benin, international partners and many stakeholders,’’ Special Adviser to Saraki on Media and Publicity, Alhaji Yusuph Olaniyonu said on Thursday. Olaniyonu explained that the former Kwara State Governor and his delegation, including Senators, returned to Saraki’s home at 7.45pm, while the APC National Caucus meeting was scheduled to begin by 8.00pm on the same night. ‘’Clearly, there was no way he could have arrived at the venue on time, especially as it would be a breach of protocol to do so at a meeting presided over by the President. On Tuesday when the NEC meeting was holding at the APC secretariat, the senate president was at the CCT where he was fighting to clear his name as the defendant in an ongoing case. He did not fix the date of the adoption of briefs by the prosecution and defence lawyers, the CCT did and, by law, Saraki must be physically present at the tribunal, as the defendant.